Intensive, uncompromising death/grind. 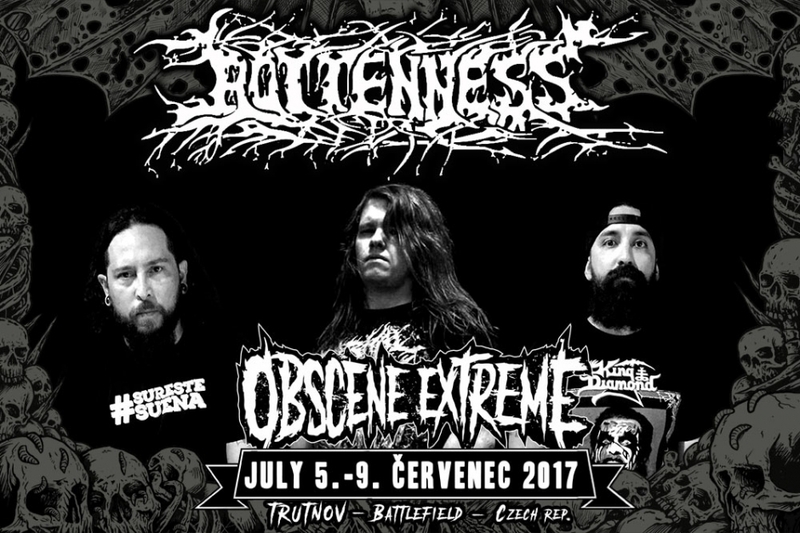 This kind of music will be delivered for the second time at OEF by Mexican American band called ROTTENNESS. A very active band with its roots in Cancún, Mexico where an underground maniac named Jajleel founded the band as early as in 1994. In 1998 the band released their first EP titled „ Blasphemous Gore Enjoyment“ placing them on an underground map. They have gone mad since playing all around the world and having released two full-length albums so far. And we are waiting what kind of madness those killers will show us at OEF 2017!!! WE ARE WE GRIND! Since 1998, no compromises and just a DIY band since the begginning. After 18 years, the band continue playing around the world and spreading their Death-Grind.